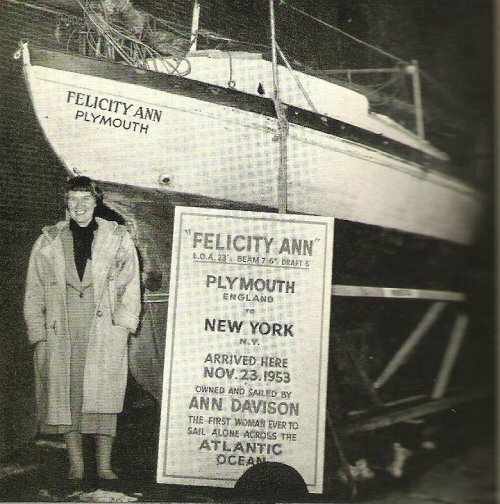 I recently mentioned Ann Davison’s Atlantic Crossing, so I thought I would assemble a few photos of her boat, ‘Felicity Ann’, and post them here. Ann was the first woman to sail across the Atlantic by herself. Her yacht was a 23 foot double-ender, designed and built by Mashford Brothers Ltd, Cremyll, Cornwall, England. At the beginning of the Second World War she was set aside, uncompleted until 1949. Ann bought her 1n 1952 and modified her for her Atlantic crossing the same year. She made her departure from Plymouth on 18th May, 1952, and after many adventures arrived at the island of Dominica on 23rd January, 1953. En route she called into Douarnenez, Brittany; Vigo, Spain; Casblanca, Morroco, and Las Palmas, Canary Islands. Having crossed the Atlantic, she tried to make it to Barbados, but bad weather forced her to continue to Dominica, where she anchored in Prince Rupert Bay, Portsmouth. After leaving Dominica she continued to English Harbour, Antigua, and from there to St Thomas. She took her time to Miami and continued northwards along the East Coast to New York. Weather during her Atlantic crossing alternated between gales and calms, causing her to suffer badly from sleep deprivation. She would heave to at night. During one gale she lost her sea anchor, but later made another from a canvas bag. During calm spells she used her engine. She saw dolphins, trigger fish, Bosun birds, turtles, flying fish, sharks and Eagles near Holden Beach. She had a very frightening experience when large foaming waves overtook ‘Felicity Ann’, and believes they were caused by an underwater earthquake. Because her voyage took longer than expected, she had to ration her drinking water. She appears not to have collected any fresh water during torrential rainfall. The largest yacht I’ve owned was a Pioneer 9, designed by E.G. Van de Stadt in 1959. Her name was ‘Aziz’, which is an Arabic word meaning, ‘magnificent’ or ‘beautiful’. She was, indeed, pleasing to my eye. Her overall length was 30’, and her waterline length was 24’. She had a draft of 4’ 8” and a medium fin keel, placed almost amidships. Her balanced spade rudder was under the stern, but forward of the transom. It was a joy to hold the curved, laminated tiller which was always light to the touch. The balance of boat was impeccable, with just a touch of weather helm, irrespective of the sea state. She was a delight to sail, often pointing higher on the wind than many a modern racer. For single-handing and long-distance cruising she had been fitted with a Hasler Gibb, servo pendulum self-steering gear. 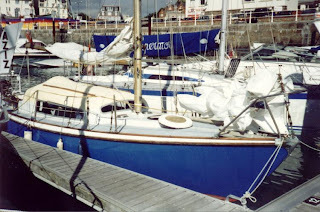 I owned ‘Aziz’ between December, 1995 and November 1997, and sailed her from the River Crouch to La Coruna and back. Somehow, it seemed a special privilege to own her, because of her history and ‘fame’. In 1971 Nicolette Milnes-Walker bought her with the purpose of sailing across the Atlantic from Milford Haven, Southwest Wales, to Newport, Rhode Island, to become the first woman to do it alone without stopping. 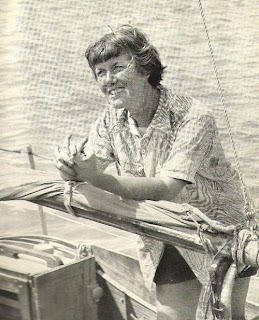 Anne Davison had already crossed the Atlantic single-handed in 1953 to become the first woman to do it, but along the way she put into Brittany, Portugal and the Canary Islands. 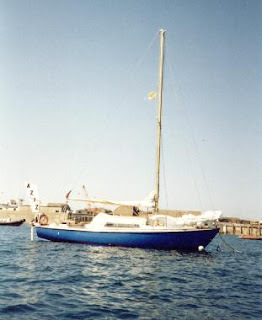 Nicolette set sail on 12th June, 1971 and after 45 days, in which she experienced gales, loneliness, doubt, fear and elation, she arrived in Newport. 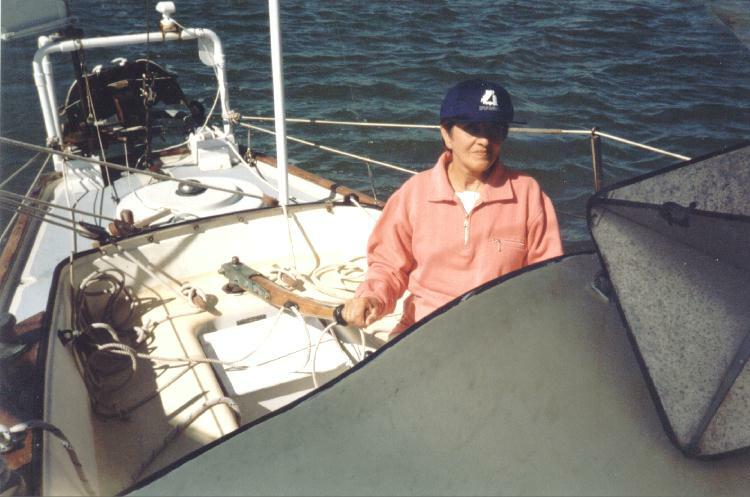 Nicolette’s interest in sailing began in 1966 at Salcombe, and afterwards she was inspired to build a sailing dinghy which she mostly used at Weston-super-Mare. 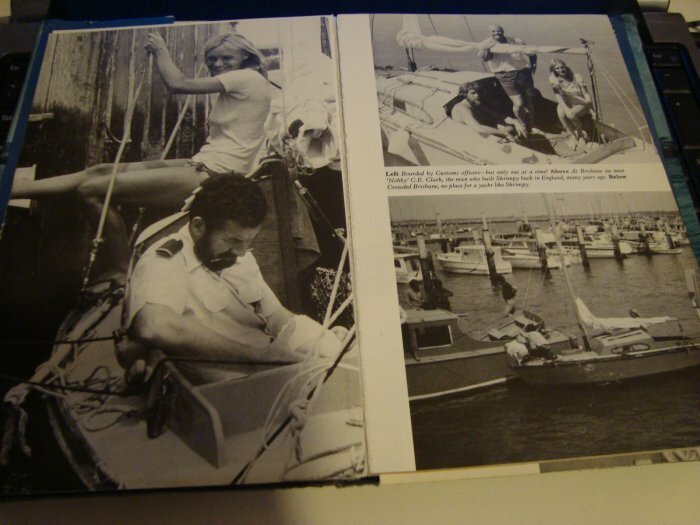 To gain seagoing experience she sailed as a crew member aboard a 25 foot yacht to Spain and the Azores and back. Months afterwards, while at the London Boat Show in January, 1971, she felt an overwhelming desire to sail across the Atlantic, and within 6 months she had found her boat, carried out modifications, provisioned the vessel, and was ready to sail. A psychologist by training, she was interested in studying how people perform various physical and mental tasks when they are subjected to difficult physical conditions. What better situation could there be than to test herself by sailing 4,000 miles alone, while experiencing arduous conditions? 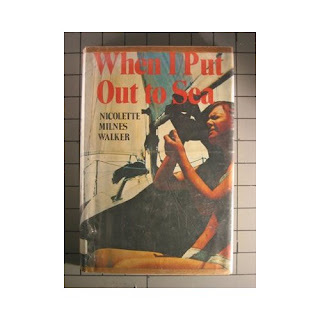 To that end, she kept detailed notes which were useful when she wrote an account of her experiences in a book, ‘When I Put Out to Sea’. She saw many interesting sights, such as a pod of whales at close quarters, porpoises, pilot fish, sharks, flying fish, and an unusual moon halo. She discovered a lot about herself, such as her response to the fear of death, the effects of tiredness, how she coped during a short time of depression, dealing with mild shock, and an acknowledgement of her belief in the existence of a God who ‘observes’ but does not intervene. 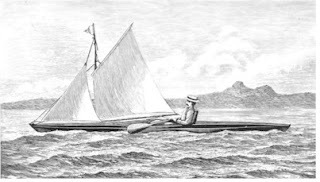 I have always admired John MacGregor (1825-1892) because of his exploits in a series of self-designed, wooden decked canoes, all having at least one or more sails which were used when the wind was abeam or abaft the beam. He did not use leeboards. This Scotsman popularized canoeing as a sporting activity for the middleclass, by publishing books telling of his voyaging on rivers, lakes, and on the sea. His adventures took him to Europe, the Baltic and the Middle East. He founded the Canoe Club, which was later renamed as the Royal Canoe Club when given Royal patronage. MacGregor designed and had built for him as many as seven decked canoes, all named ‘Rob Roy’, each being designed for specific ventures. The one that I like most is the one he used on the River Jordan. She had an overall length of 14 feet and a beam of 26 inches, at a point 6 inches aft of amidships. 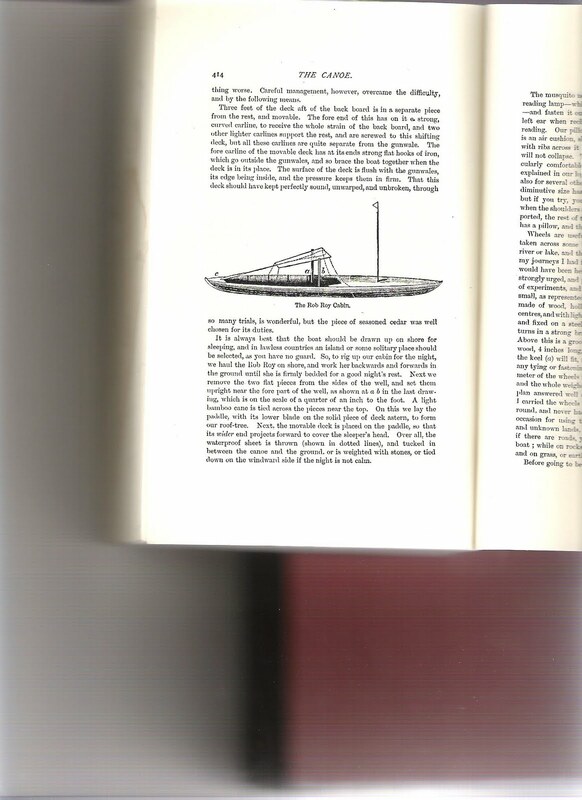 She had a pronounced tumblehome extending outwards 3 inches below the upper deck which gradually tapered fore and aft until the sides of the canoe became upright. 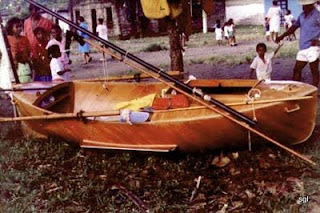 Such a configuration made for easy paddling with a double bladed paddle, and it provided more interior space for MacGregor when sleeping within his canoe while ashore. He maintained that this design allowed him ‘to stow more equipment, sail better, and rise to the seas more lively’, but she was not as good as his Baltic canoe for use on rapids, dragging overland or beaching. 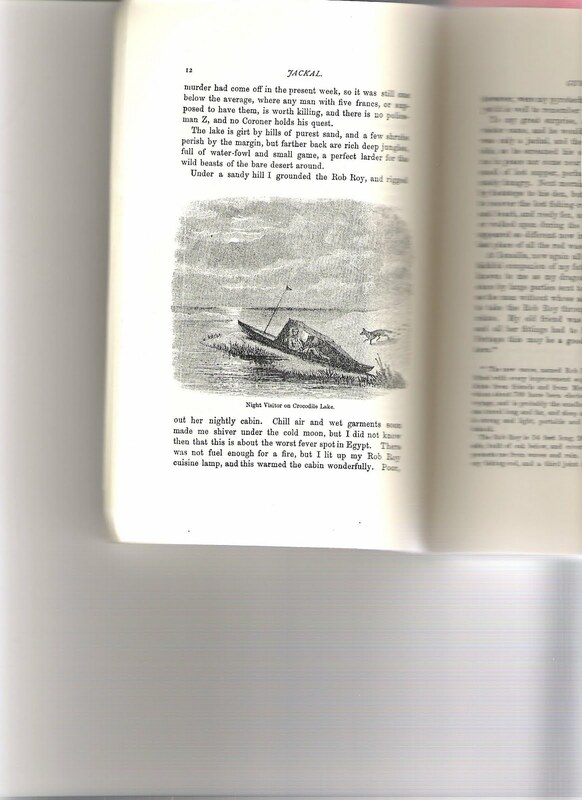 He designed the garboard strakes amidships to be almost level with the central keel so that when the boat was ashore there would be no undue strain to the hull. The aft deck could be removed and used as a roof over the cockpit. Single boards either side of the cockpit could be set upright for supporting the aft deck by means of a piece of bamboo lashed between them and the double paddle with one of its blades on a support at the stern. A waterproof sheet was thrown over this framework to form a tent, the sides being tucked under the canoe, or held in place with stones. He had a small reading lamp that he attached to the starboard support, and when necessary he fixed a mosquito net within the tent. He used his clothes-bag for a pillow, and a small inflatable mattress measuring 3 feet by 14 inches for supporting his upper body. The floorboards were 6 feet long, and they exactly fitted the shape of the cockpit, so that when the boat was being transported overland, or on a steamer, the contents could be made secure. 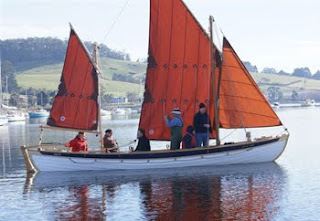 This ‘Rob Roy’ was rigged with a simple lugsail, which had the boom and yard secured within pouches. At the forward end of the boom there was a cord-loop that hooked onto a long brass hook at the base of the mast, so that the mast could be stowed without the crew having to leave his seat. 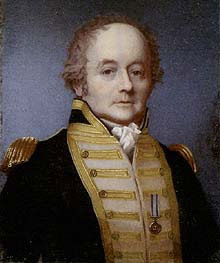 Captain William Bligh’s remarkable 3,618 mile voyage with 18 crewmen besides himself aboard the 23-foot open launch from HMS 'Bounty’ is well-documented, not least Bligh’s log, being the most authentic source commenced on Tuesday, 28th April, 1789, and ended on Sunday, 14th June, 1789. A great deal of fiction, romance and drama has been added over the years to the most well-known mutiny story, but what can’t be denied is the professionalism of Bligh and the respect held for him by those who survived to tell the tale. Not one soul was lost during the hazardous, stormy voyage in an over-laden vessel with only 7 inches of freeboard. Set adrift in the ship’s launch by the mutinous crew, headed by Fletcher Christian, they had scant provisions for a seven week voyage of survival from Tofua (Tofoa), an island in the Tonga group, to Coupang (Kupang), West Timor. In all, Bligh listed his provisions as 150lb of bread, 16 pieces of pork, each weighing 2lb, 6 quarts of rum, 6 bottles of wine and 28 gallons of water, all of which he strictly rationed for his men, amounting to no more than a starvation diet. Fortunately at the start, conditions were calm, so that Bligh and his men were able to row, and when the wind sprang up they sailed to the nearby island of Tofua, where after searching for extra water and food, they were attacked by hostile natives. One crew member, John Norton, was stoned to death on the beach from which they made their escape while being pursued by a dozen stone throwing natives in their canoes. Bligh distracted them by dropping clothes into the water which they duly retrieved. Afterwards it was nearly dark and the natives gave up their chase. The voyage from there was one of abject misery, because of storms causing the men to continuously bail the boat as she ran before the wind. With very little in the way of protective clothing, they suffered severely from the cold and because of being wet. They were fearful of landing on any of the Fijian islands, the New Hebrides islands, New Guinea and the North Australian coast on account of finding hostile natives. Fortunately they were able to supplement their provisions by catching noddies, small birds the size of a pigeon, and boobies, much bigger birds, about the size of a gannet. Bligh eventually made it back to England with 12 of the survivors aboard a variety of vessels. 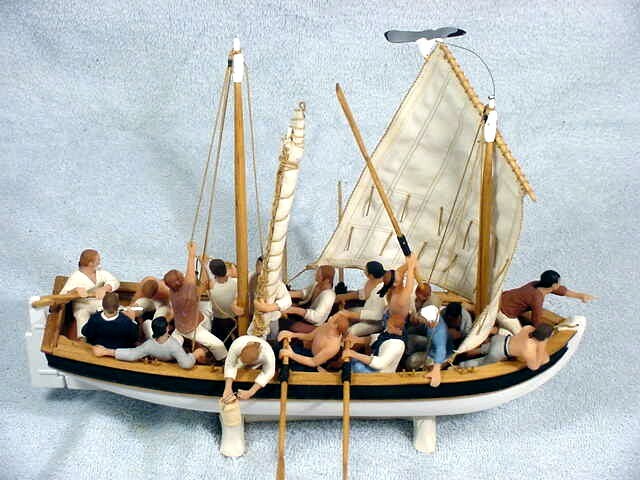 What amazes me is that Don McIntyre, Mike Perham and two others will endeavour to re-enact the voyage in the ‘Talisker Bounty Boat’, a vessel a little longer than the original, but with less than half the volume. Their stated purpose is to raise funds for the Sheffield Institute for Translational Neuroscience (SITraN). 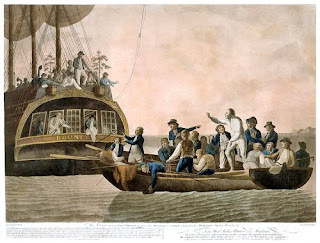 April, 28th 2010 will mark the 221st anniversary of the Mutiny on the Bounty. These adventurers intend to embark on that date, under similar conditions to Bligh’s crew, with no charts, and not enough food or water to accomplish the task of following the wake of Bligh’s boat for a distance of just over 3,600miles. They will not take nautical almanacs, modern watches, or torches, but they will have a GPS tracking system which will enable the outside world to follow their progress. Via a satellite computer link the crew will be able to send Blogs, photos and audio clips. Wisely they will be taking adequate protective clothing, including Gore-tex jackets and pants and an inflatable liferaft. Navigation equipment will include an 18th century octant and sextant, two 18th century pocket watches, nautical tables, a ship’s compass, telescope, rope knot meter, lead line, ink, pens, notebooks, a logbook and a magnifying glass. Phil Bolger was a very influential and original designer of boats, many of them powered by sails. Sadly he died this year on the 24th May, aged 71, but his legacy will continue for many, many years. What set him apart from traditionalists was his ability to see afresh, without being unduly influenced by boat designs of the past. He could eliminate inessentials and visualize a boat for a specific purpose. He had a canny aptitude for excellent ergonomic design, tailored around appropriate materials, such as plywood, aluminium, epoxy in conjunction with cold-moulded veneers and fibreglass. 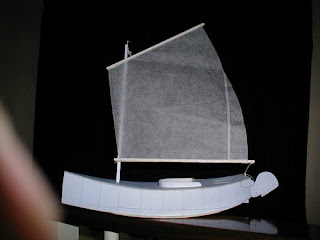 Some of his boats were extremely simple, while others were, of necessity, more detailed, but all were designed with care for sequential construction to help the builder minimize effort and keep costs low. When asked which of his designs epitomized his philosophy, and which of them satisfied him most, he pointed to ‘Birdwatcher’, because she fitted both criterion. She is an unusual-looking double-ender with slab sides, a clipper bow, and a long superstructure composed mainly of Lexan (Plexiglass) windows. The cabin extends from the small stern deck almost to the bow, and it is has an opening fore and aft in the top, which is wide enough to allow her crew to walk along its full length. This opening can be closed by a zipped soft-cover, so that the crew can sail and control the boat while being protected from the elements. The walkway enables the crew to ship the mast(s), and hoist and reef the sail(s) from the protection afforded by it. Most other vessels lack the convenience and safety this system brings. In addition, the crew can set and retrieve the anchor while in a secure position at the bow. 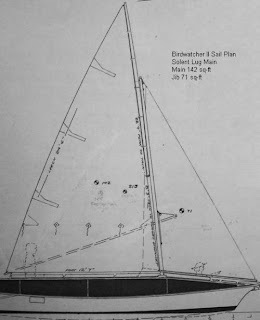 ‘Birdwatcher 1’ was designed with a single triangular sail lashed to the mast, the clew being held in position with a sprit boom, but Bolger modified ‘Birdwatcher 11’ by having a Solent lug mainsail, plus the option of a staysail. 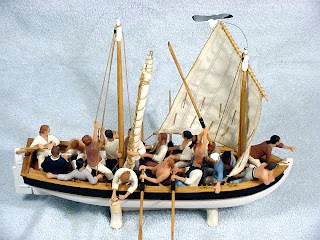 Builders of various versions of ‘Birdwatcher’ have rigged them according to their own wishes, perhaps by adding mizzens or using spritsails similar to those on Thames barges; others have preferred junk rigs, or Marconi/Bermudan configurations, but all have mounted their masts to one side of the walkway so that the crew can move fore and aft without being impeded. Another advantage of having a mast set to one side is that it can be secured by a fitting on the cabin structure. ‘Birdwatchers’ have thick, heavy plywood bottoms encapsulated on the outside with epoxy GRP to protect them when taking the ground and to provide ballast low down where it is most needed, but these boats depend on the crew ballast for counteracting heeling when the wind is at all fresh. Her long, lean hull is easily driven; therefore she does not require a huge sail area. Indeed, if she is over pressed, she will not sail faster. She will perform better on the wind when her lee chine is well immersed and the windward chine is just clear of the water. The shape of her hull provides lift, and this is enhanced by the offset plate and the kick-up spade rudder. Some owners have added outboard engines, but originally Bolger intended that oars should be the secondary power source. He cleverly provided oar ports either side, fairly near the stern, so that the oars could be left in position with the blades facing aft when the boat is not being rowed. Theoretically, ‘Birdwatcher’ can be rowed by her crew from within the cabin, but in practice this can be a hard and sweaty business, and if there is any wind, rowing can become problematical, unless the boat is going downwind. I have noted that one owner prefers to row when standing up and while facing forward by having rowlocks on the cabin top, but the oars need to be very long to do this, and consequently they are heavy. Incidentally, if the boat is knocked over on her side she will float in that position because of the buoyancy provided by her cabin top. Her crew can aid recovery by placing their weight near the bottom of the boat, when she should self-right, especially if there is a seaway, because of wave action. I do not own a ‘Birdwatcher’, although several years ago I very nearly bought one of the few that are in the UK. I flew to Edinburgh when the snow and ice was clinging to the winter cover over the boat. I found that a lot of water had entered her hull, and it had frozen solid, but one thing that struck me right away was the amount of condensation there was on the large extent of the window surface. In the UK this can present quite a problem. However, as far as I can recollect, Phil Bolger, provided a drip tray along the bottom of the windows to collect condensation, as Matt Layden, did for ‘Paradox’. I liked the open plan of the boat, and the very spacious interior, along with the unimpeded views and ample light. I imagined being sat low on the floor, while sailing in the summer sunshine, when a cool draught of air flowed through the open cabin top. I could hear the water chuckling along her sides and feel her respond to the occasional gust, causing her to luff a little, before continuing along her course. It was not until I arrived home, and in the cold light of the following day, when I looked at a list of all the faults I found, such as rusted rudder fittings, rotten wood in the cabin top and a damaged chine, that I made the decision not to go ahead. The reality dawned on me of the long tow home from Scotland by road, or a sea passage that may be too much for the condition in which she was. Then I would have to take her out of the water for repairs and incur the loss of time while doing them. The Viking of the Seas, Swedish Sven Yrvind, is well-known by those who are interested in small, ocean-going sailing vessels, for he is truly a pioneer who has researched and practised long-distance ocean cruising in small boats. He is happy in his workshop building boats to his own designs, but he is happier when out on the ocean, miles from civilization. He is at one with the sea, and confident that he will survive any storm. He rightly believes that small boats are proportionately stronger than larger ones; hence they are more seaworthy. 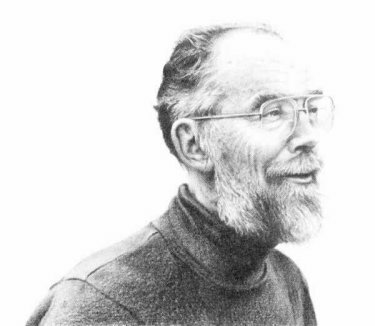 He will not put to sea unless he is entirely happy with the integrity of his boat, and to this end he has devised a system of minimizing impact damage, knowing full well that there are items like large containers floating just under the surface that could cause serious damage in the event of a collision. He has proven that an internal hard-shell, encased in a softer outer one, will likely maintain its integrity, because the softer outer shell will absorb impacts, lessening the chance of serious damage. As a result he builds his boats in this way. Small vessels ‘bounce’ off hard objects, whereas large ones continue their momentum, thereby increasing impact damage. Providing a small yacht is watertight, she will float like a cork or a light bulb, so that she does not resist the waves; therefore she cannot be damaged by them, unlike ‘BT’, the IMOCA Open 60 yacht, in the recent Transat Jaques Vabre Race, when she sustained severe damage to her cabin top, most probably from a breaking wave, or possibly from a floating object. As a result, the yacht became waterlogged and unmanageable; therefore her crew had to be rescued by helicopter. 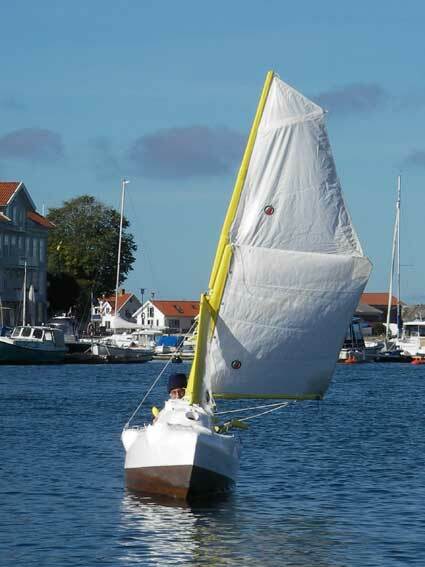 Sven recently built a 4.1m experimental ocean cruising sailboat, by the name of ‘Yrvindaren 4.1’. She had a beam of 0.96m and a draft of 0.26m, or 0.65m with the board down. This is very similar to the dimensions of Matt Layden’s’ Paradox’, except Sven’s micro-yacht had less beam, and she was round-bilged. He intended to sail her from Sweden to Cape Horn; then after rounding the Cape, continue to Japan before crossing the North Pacific to the western side of the USA, from where he would transport his boat overland to the East Coast for an Atlantic crossing to Norway. 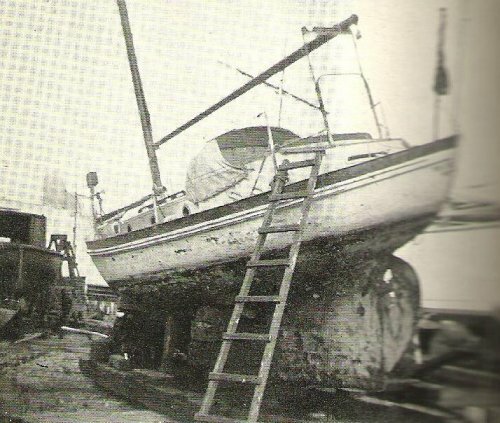 Experiments during a Swedish winter in home waters convinced him that his boat was too small. He simply did not have room to move about in her when he was dressed in sufficient clothing to withstand freezing temperatures. Stoically, he accepted he had learned many useful techniques while building the boat, and went on to start the construction of a larger one incorporating chine runners, as per Matt Layden’s ‘Paradox’. 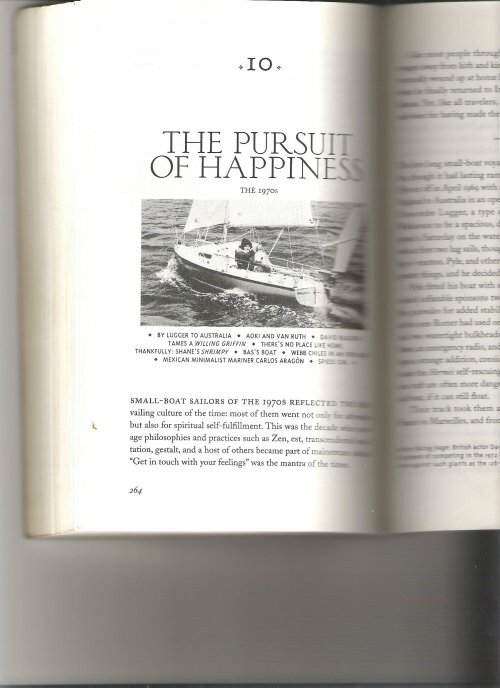 Prior to starting the new boat, he spent a long time with Matt, exchanging ideas on small boats, and he sailed his ‘Paradox’ for days at a time, which convinced him that chine runners do enable a boat to make to windward. A feature that Sven incorporates into his boats is a forward drop plate for use during gales. By setting a flat storm sail near the stern of his boat, and dropping the forward plate, he has discovered she will almost face head to wind, while making slow progress to windward. This is far more efficient than using a traditional sea anchor, particularly when near a lee shore! ‘Swamp Thing’ is one of Matt Layden’s adorable little boats, now owned and being restored by Dave and Mindy Bolduc who have their fabulous Microcrusing web site at: http://www.microcruising.com . Matt sailed this unique 13’ 2” decked sharpie-type boat from Connecticut to the Bahamas and back. To learn more about this audacious cruise have a look at: http://www.microcruising.com/other1.htm . She was the prototype for Matt’s use of chine runners, which he effectively applied to ‘Paradox’ and ‘Enigma’. 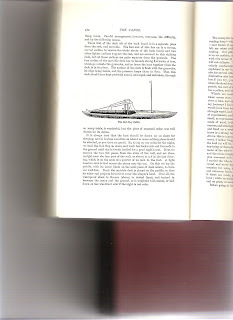 Another innovative aspect of the design was the inclusion of oar ports on either side of the vessel, so that she could be rowed from inside, in similar fashion to Bolger’s Birdwatcher. To my mind she is the epitome of a one man, ultra-micro-sailboat, capable of beach cruising and short offshore passages in settled weather. Before I built my Matt Layden ‘Paradox’ I made a model based on ‘Swamp Thing’, with a view to building a full size version. I named the design ‘Pronto’, but after deliberations, I opted for the bigger, proven ‘Paradox’. Maybe one day, I’ll get around to building ‘Pronto’ which is almost identical to Matt’s original ‘Swamp Thing'. 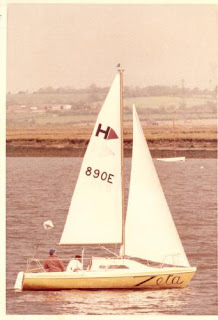 In 1977 I purchased a Hunter Europa 19 kit from Peter Poland’s Hunter Boats Ltd at Rochford, Essex. 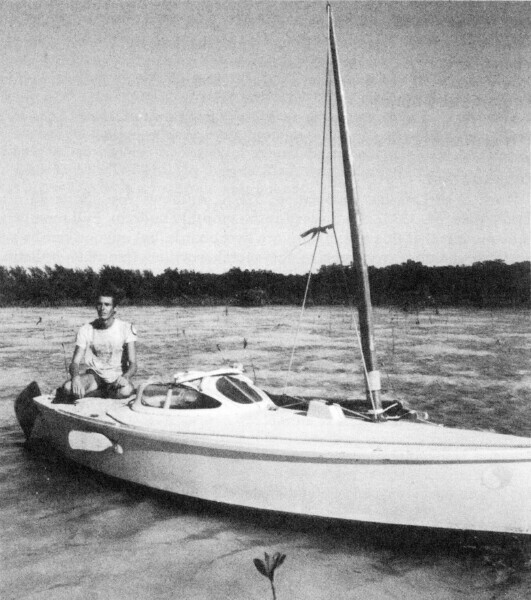 I had heard of David Blagden’s success in racing a slightly modified Hunter 19 in the 1972 Observer Single-handed Transatlantic Race, and on the strength of that, I had confidence that the Oliver Lee designed boat would look after me in my attempt at sailing to the Azores and back in the improved version of the Hunter 19 - for that’s what the Europa 19 was. Originally, Oliver Lee designed the 19 foot Squib for club racing and she became a great success, eventually gaining National status. 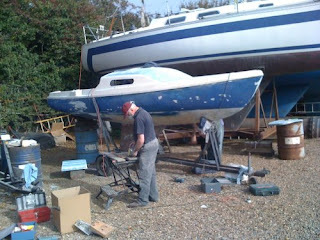 Peter Poland asked Lee to add a ‘lid’ to the boat so that she could be raced in JOG events across the English Channel. Lee agreed, and she was named the ‘Hunter 19’, obtainable as a finished boat or in kit form, with a choice of deep or shallow fin keels. The main difference between the Hunter 19 and the Hunter Europa 19 was the increased volume of her cabin which was achieved by adding a few inches to the upper moulding above the sheer line. 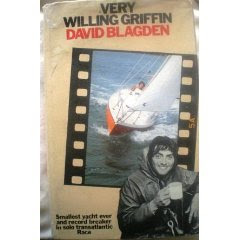 David Blagden authored a book, ‘Very Willing Griffin’, which tells of his wrestling with the waves during Atlantic storms and of putting into the Azores to replace drinking water that had become contaminated. 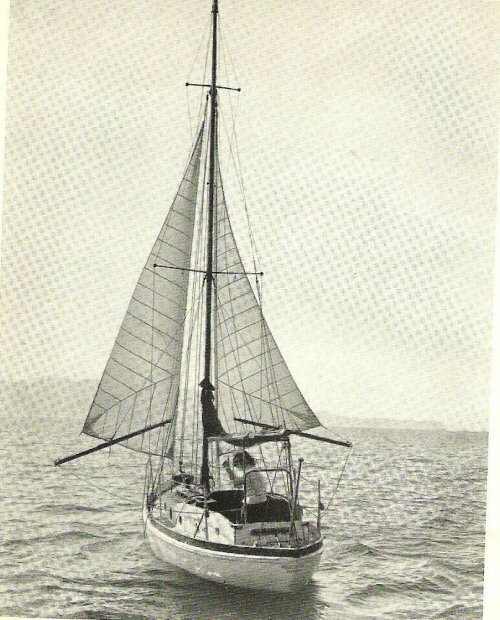 His 19 foot boat was the smallest ever to participate in an official transatlantic race. ‘Willing Griffin’ was like David in his fight with Goliath when compared with the giant 128 ft schooner, ‘Vendredi Treiz’, which took second place, and had already finished the Race before Blagden left the Azores. Undaunted, Blagden continued through calms and storms to finish on handicap in 10th position out of fifty-nine competitors. In the minds of many, ‘Willing Griffin’ had vanquished ‘Vendredi Treiz’. 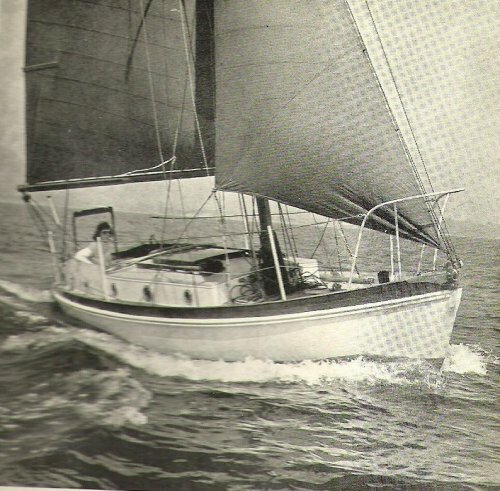 Blagden had blazed a way for small boat ocean racing, and inspired by what he achieved, Bob Salmon who had also been a competitor (retired) in the same 1972 Observer Single-handed Race, organized the first single-handed transatlantic race for yachts under 21 feet, the Mini-Transat, now renamed the Transat 6.50. There will be a raffle held for the Hunter 19 ‘Barangoola’ at the January, 2010 London Boat Show in aid of the RNLI Burnham-on-Crouch Boathouse Appeal. Tickets will be £5 a time. To find out more, copy the link below and enter it in your address bar. 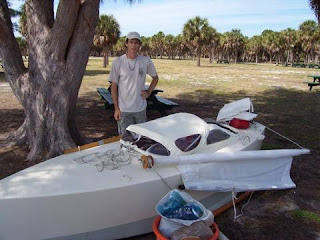 Matt Layden, the designer and builder of the original ‘Enigma’, is a well-known American sailor who has participated in several Everglades Challenge races, organised under the banner of ‘WaterTribe’. Matt is a genius when it comes to the design of small boats, particularly sailing boats. He very successfully raced his Paradox sailboat in 1993 to win the WaterTribe Challenge Race. ‘Enigma’ is a lighter, shorter, and less beamy version of Paradox. Unlike Paradox, which has lead and water ballast, ‘Enigma’ relies on her crew, plus removable sandbags or cruising gear to bring her to her waterline. 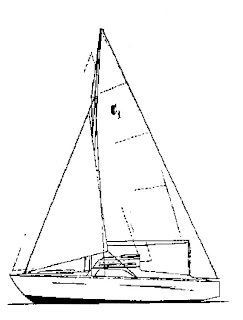 Both sharpies have common characteristics, i.e., hulls with substantial rocker, low aspect roller furling lugsails, chine runners and lifting rudders. 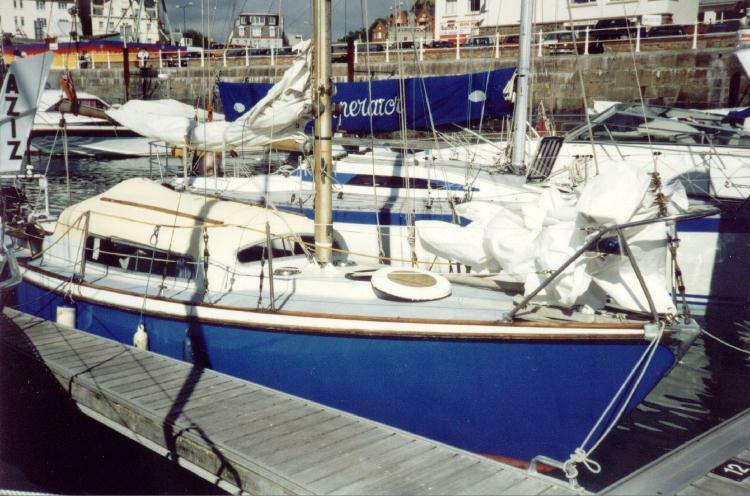 I built my Paradox over a period of 18 months in my spare time, but it took considerable effort because of the great number of individual components that had to be made and assembled, such as those required for the waterproof ventilation system in which the mast was housed. Sheathing the hull, deck and cabin with layers of epoxy-saturated woven roving was very time-consuming. By contrast, ‘Enigma’ is a smaller, simpler boat to build, because her hull is formed by the stitch and tape method. According to how ‘Enigma’ will be used by her owner, I believe it would only be necessary to sheath her underwater parts – certainly for the sort of sailing I would do with her - that is weekend sailing on the East Coast of England. 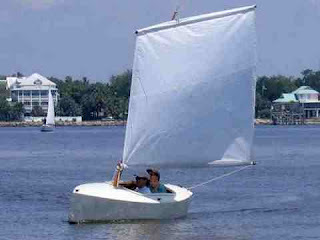 For the solo sailor, she would make a superb trailer boat, capable of coastal cruising in fine weather. She would also be suitable for lake sailing and exploring rivers while being powered by her yuloh. Her shallow draught would enable her skipper to venture in those upper reaches where other craft seldom go. Matt’s ‘Enigma’ now belongs to Dave and Mindy Bolduc who cruise together in her with two parrots! How they manage this, beats me, but I suppose the internal usable space is not much less than the space in a Paradox. She’s a well-proven boat, because Matt raced her in the 2006 WaterTribe Ultimate Challenge Race, over a distance of 1,200 miles around Florida, finishing first in his class, and third overall. Interest in the little boat, as result of Matt’s success, brought a flurry of requests for him to make plans available for would-be builders, but I believe there was a certain reluctance on his part to comply with their requests, not just because of other demands or priorities in his life, but because of a regard for his responsibility as a designer. 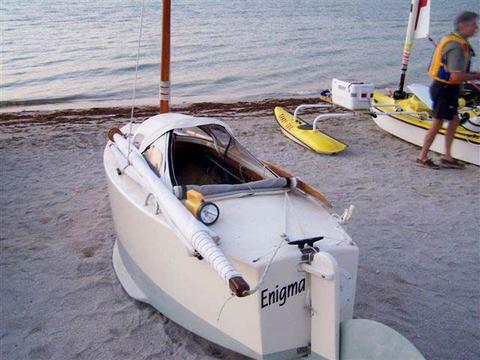 Unlike Paradox, which is a heavy displacement boat that will look after a solo sailor in difficult sea conditions, a lightweight ‘Enigma’ is more comparable to a narrow dinghy – you might say she is a boat similar to a decked sailing canoe that needs skilful handling in tricky seas. 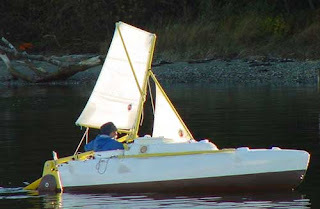 Consequently, Matt has consented to work with George Van Sickle on perfecting plans for the ‘Enigma 460’, which is a longer boat than Paradox, but only 6 inches wider than the original ‘Enigma’, now known as the ‘Enigma 360’. The new boat is a sort-of, in between version with a hardtop, unlike the smaller ‘Enigma’ which has a folding hood. Providing she is well ballasted, she should be more sedate than the ‘Enigma 360’. I prefer the original design, because she is easy to launch and to portage by using her integral two wheel trolley. Matt was able to pull his ‘Enigma’ on her trolley, complete with cruising gear, 40 miles overland between St. George and the Suwannee River at Fargo during the WaterTribe Ultimate Challenge Race. Length: 12 feet, 3 inches. Displacement when loaded: 420 pounds. Sail area: 56 square feet. 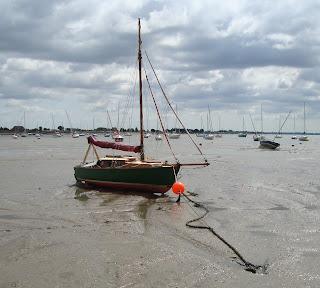 My stomping ground for sailing my boat is the South East coast of the UK, primarily the River Crouch where I have a mooring. A frequent visitor to the Crouch is Charles Stock, who will take his tiny gaff-rigged ‘Shoal Waters’ up to Battlesbridge, where he will let her settle beside the ‘Hazel May’, a resident, barge-type motor cruiser. If the weather is settled, at high water, the next day, he will sail his boat back to her mooring on the River Blackwater. It is there I took the photo you see above. Charles is about my age, but I am convinced he has done considerably more sailing than me over the years. Who else would sail forty weekends, most years, averaging eighty miles between a Friday night and a Sunday evening, other than Charles? He’s a man of great character who truly practises what he preaches, i.e., enjoy sailing and have adventure on a low budget. He champions the small boat in preference to the large expensive yacht, making a compelling case that small boats give the greatest fun. 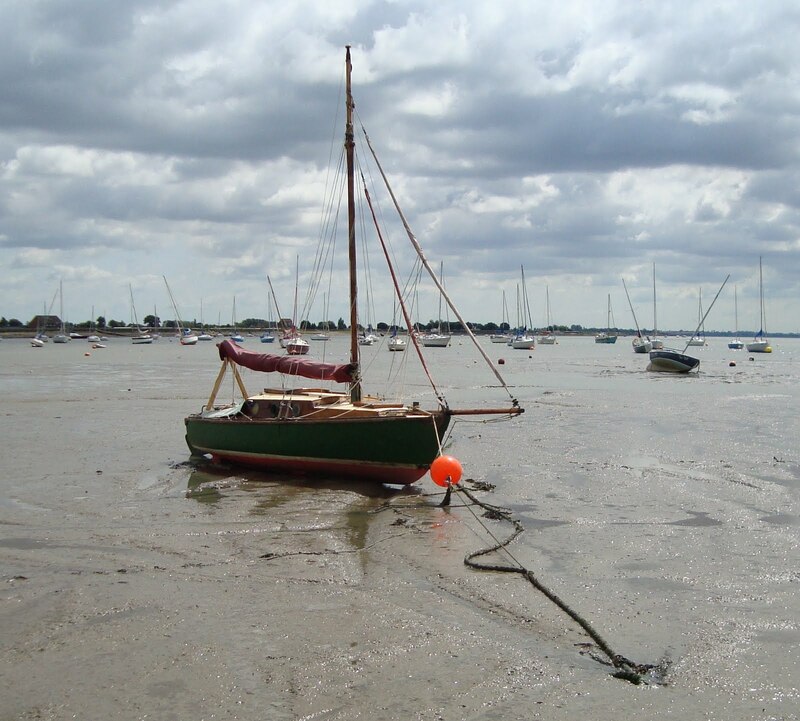 Since 1963, when he first launched his faithful ‘friend’, he has sailed her solo, and often with his wife, around the Thames estuary, the Broads, East Coast Rivers, and as far as the Solent, totalling well over 70,000 miles - that’s about the equivalent of two circumnavigations! What is even more remarkable is that ‘Shoal Waters’ does not have an engine. I cannot attempt to put into words my admiration for his achievement, though I am certain he would not brag about what he has done. On the contrary, if he tells of his adventures in magazine articles or in his excellent book, ‘Sailing Just for Fun’, he does so for entertainment and for passing on his hard-won knowledge to those who will wisely take in and learn from what he has to teach. I highly recommend a visit to Charles Stock’s web site, but don’t be surprised if you spend hours exploring the many pages of sheer delight. You will want to return time and again. When Shane Acton began his circumnavigation, he could have had little idea as to what he would finally achieve. 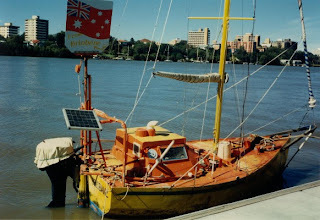 Eight years to the day, after setting off from Cambridge, England, aboard ‘Super Shrimp’, he returned there, on Saturday, 19th August, 1972 having sailed around the world. Prior to embarking on his global adventure, Shane had received a thorough training in the handling of small motorized craft when he served in the Royal Marines. After leaving the Marines he sought adventure; first roaming America before exploring Europe. Restless, and home again, his wanderlust led him to buy an inland cruiser, for exploring the rivers and canals of England, but this did not satisfy his inner craving to see and experience other countries of the world; therefore he sold his boat and bought a ‘Caprice MK 1’. She was an 18’ 4” plywood sailing boat built by C.E. Clark Limited of Hayling Island. Twenty five years old, and with very little money, he abandoned the rat race to become a roaming gypsy of the sea. Sixty miles from Cambridge, beyond Kings Lynn, ‘Shrimpy’ entered the salty waters of the Wash, and for the fist time Shane rigged his boat and hoisted her sails. Never having sailed a yacht before, he somehow managed to reach his first port of call, Wells-next-the-Sea. This ability of being able to quickly adapt to new situations was a key to his success, and the pattern he established of short-hop coastal cruising as far as Falmouth was repeated throughout his circumnavigation, with the exception of the crossings of the Atlantic and Pacific Oceans which were coupled with short passages between islands. A contributory factor of Shane’s success was his patience at waiting for the right season, to avoid hurricanes and to take advantage of seasonal weather systems. Shane spent time exploring the countries he visited and shared approximately half of his 30,000 mile circumnavigation with his Swiss companion, Iris Derungs, whom he met in Panama. She sailed with him from Panama to Bali and joined him again at the Greek island of Symi, North of Rhodes, and together they visited 15 Mediterranean islands before passing through the French canals to the Bay of Biscay, the English Channel and home to Cambridge. Shane crossed the Atlantic to the Panama Canal, then the Pacific to Brisbane, Australia. From there he sailed along the north coast of Australia to the Indian Ocean, visiting Sri Lanka. 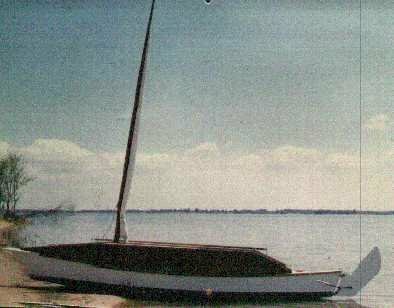 He continued to the Red Sea, which was the most challenging leg to the Suez Canal because of contrary winds and damage to his boat. After being towed through the Suez Canal, he and Iris enjoyed a leisurely cruise of the Mediterranean before making it home to Cambridge. If you can get hold of his book, ‘Shrimpy’, you’ll find it’s a gripping and fast-moving story with loads of adventures. 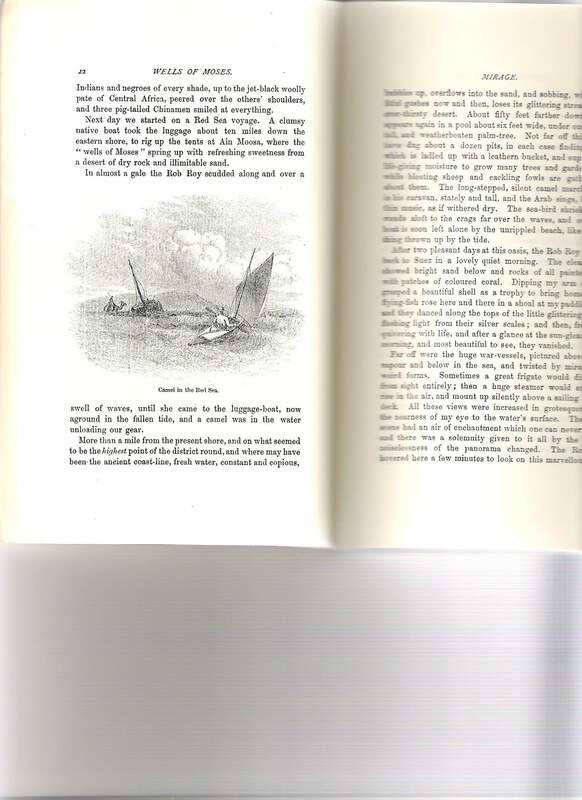 Shane sailed ‘Shrimpy’ again as far as the Caribbean, and wrote another book, ‘Shrimpy Sails Again: From Cambridge to the Caribbean in an Eighteen-foot Yacht’. Sadly he died at the age of 55 from lung cancer. Name of yacht: ‘Super Shrimp’. 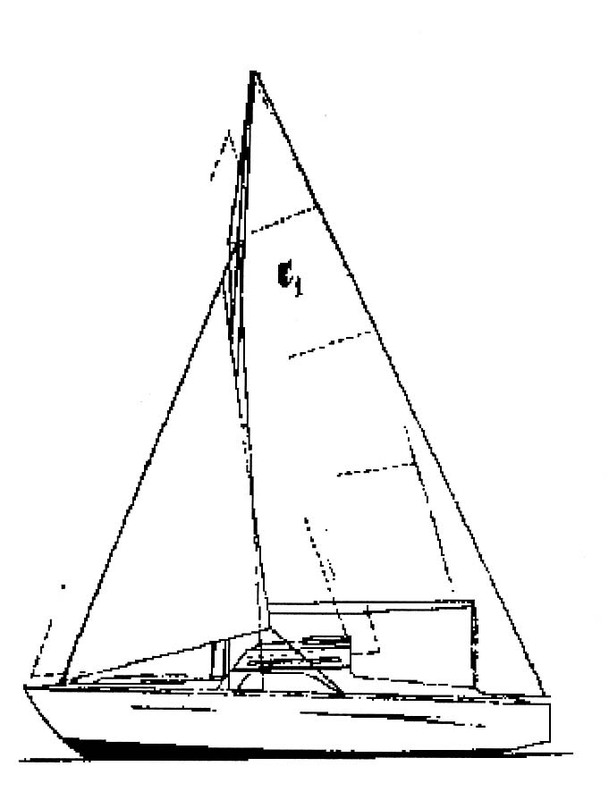 Design: Sloop, Caprice, Mk 1. Builder: C.E. Clark (at Cowes 1962). Length: 18 feet 4 inches. Bream: 6 feet 2 inches. Draught: 1 foot 8 inches. Ballast: 250 lb in each keel. Sails: 1 main, 1 jib, 1 Genoa, 1 running sail. Emergency equipment: Flares (red, orange, white) plastic 2-man dinghy and paddles. 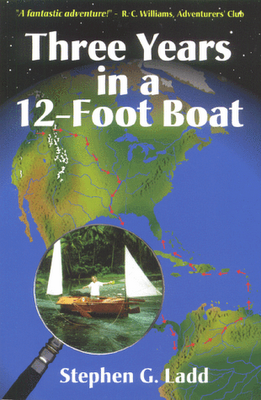 ‘Three Years in a 12-Foot Boat’ by Stephen G. Ladd, tells the story of the author’s wanderings while living aboard a tiny boat he designed and built. Setting out on August 11th 1990, Stephen embarked on the most incredible adventures while rowing and sailing ‘Squeak’ from the Rocky Mountains via the Milk River, Missouri River and the Mississippi to New Orleans. From there he shipped his boat to Colon; then with difficulty, he worked his way along the Panamanian and Columbian coasts to Buenventura. About half way there, near Bahia Solano, he survived a harrowing capsize at night. After recuperating, he arranged transport over the Andes to the head of the Meta River, and from there continued to the River Orinoco and the Pacific Ocean. 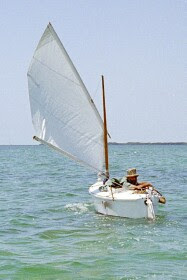 Open water, strong winds and fast currents between the islands of the Lesser Antilles brought more difficulties, including capsizes, but the adventurer persevered, eventually making it along the South coast of Haiti and the Dominican Republic, from where he sailed along the North East coast of Cuba, until eventually he crossed the Straits of Florida, to arrive at Miami on May, 17th 1993. Stephen had more than enough adventures, including: avoiding pirates, struggling against wind and tide, sleeping on his boat while drifting on the ocean, illness, romance, being robbed at knife-point, living on desert islands, meeting a wide variety of people of different cultures, exploring rain forests, travelling at night to avoid guerrillas, snorkelling, altogether travelling 6,500 miles on water and 8,500 on land and by ship. The best thing about his book is the way it is written with so much description, expression and inhibition, so that one gets to know the author and the way he thinks. Loaded with crew: 550 lbs. 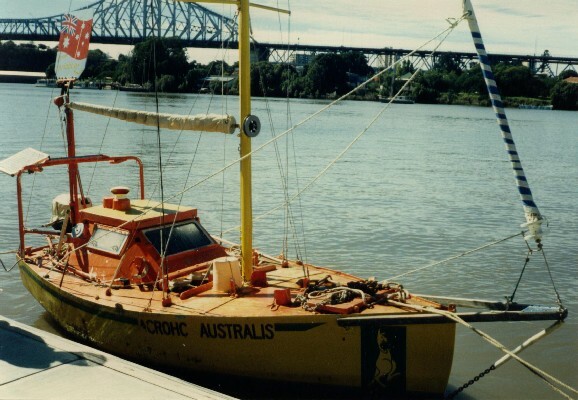 ‘Acrohc Australis’ is the smallest boat to have sailed around the world. 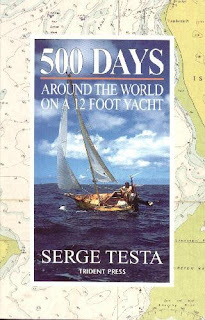 Setting out from Brisbane, Australia, in June, 1984, and returning in May, 1987, Serge Testa logged a distance of approximately 50,000 kilometres. In all, he spent 500 days at sea, while averaging 100 kilometres a day, i.e., 4.16 kilometres an hour - that’s a speed of 2.246 knots. Now, that’s pretty good for an 11’ 10” boat with even less LWL, perhaps 11’. This aluminium micro-yacht has a 5’ beam and draws 5’; she was designed and built by Serge who learnt metalworking when he lived in France. 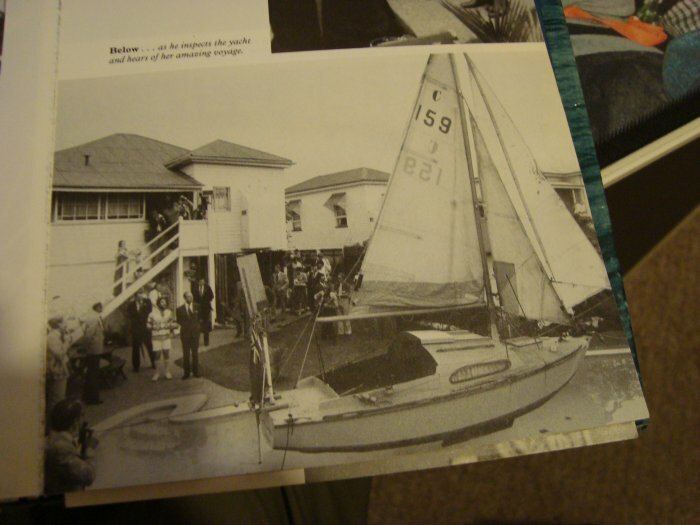 Serge moved to Australia, and there he became interested in sailing. He acquired a yacht that had sunk and brought her back to life. He confessed it took him quite a while to teach himself to sail, and in the process, sank the boat! 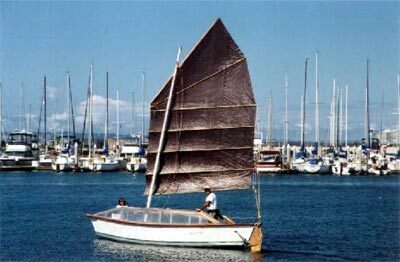 Desperate to do some cruising, but short of funds, he designed and built the 11’ 10” ‘Acrohc Australis’. On June 9th 1984 he set off from Brisbane for a shakedown cruise northwards. 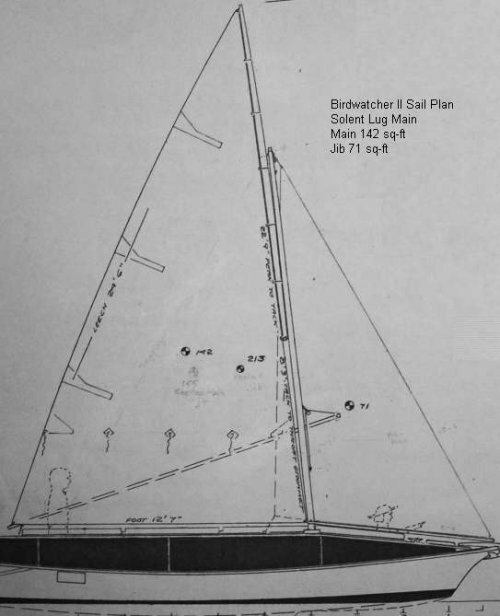 After a series of groundings while working his way along the Queensland coast he realised he needed to add a bowsprit to make the sail plan balance. Achieving this, he sailed via the Torres Strait to Darwin. From there he crossed the Indian Ocean to Madagascar, visiting Cocas Keeling Islands, Mauritius, and Reunion, but when he arrived in Madagascar he was suspected by the Authorities of being a terrorist. The Indian Ocean had been a baptism of fire, not just because he survived an onboard fire, but because he experienced 4 cyclones, during which his boat was knocked down. He had to endure the torment of a severe rash covering his body, caused by dampness and extreme heat within the enclosed cabin. From Fort Dauphin, Madagascar he sailed to Durban, where he had to wait three months until the season was right for sailing to Cape Town, but this stretch of the Ocean lived up to its reputation of being difficult, because of contrary currents, strong winds, big seas and the presence of many ships. When he arrived at Cape Town there was a very bad storm, and because of being fatigued, he fell asleep, only to wake up when his yacht crashed over rocks before ending up on a sandy beach. 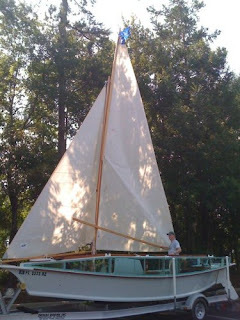 His boat was transported overland to a local yacht club by members of the club. In January, 1986 he sailed to St Helena Island, where he had to wait for finances before he could continue. Afterwards he visited Ascension Island, then he continued to Natal, Brazil, but because he did not have a Brazilian visa, he could only stay there for 3 days. From there he sailed to Cayenne, French Guiana, Tobago, Isla Margarita and Puerto Asul, Venezuela, where he waited for the delivery of a Satnav. This device was a boon, for Serge could know his precise position, which gave him the confidence to sleep when his boat was well away from the hazards of land and shallow reefs. Arriving at Colon in July, 1986, he prepared his vessel for transit of the Panama Canal. Panama to the Galapagos Islands was the most difficult leg of the whole circumnavigation. At one time he thought he would not make it, because of contrary winds and adverse currents. The severe growth of barnacles was a constant problem, causing him to enter the water at least once a week to scrape them off. 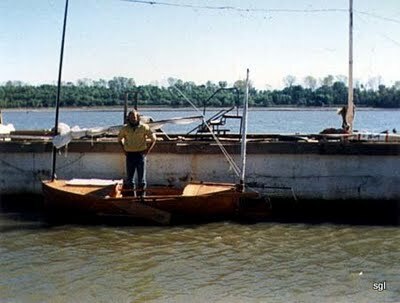 He estimated that marine growth on the hull could slow his boat down by one knot. In fact, during the entire circumnavigation he regularly dived under his boat to keep her free of growth, except when in the vicinity of the Cape of Good Hope, where the presence of white sharks made it too dangerous. On arriving at the Galapagos he was told that he could only stay there for 5 days, which was a big disappointment. From there he sailed to the Marquesas Islands, the Tuamotu Islands and Tahiti. He reckoned the most enjoyable part of the whole circumnavigation was a 30 day run to the Marquesas Islands from the Galapagos Islands. In January, 1987 he continued to the Cook Islands, then to Tonga, from where he sailed to Norfolk Island, but he was caught at anchor on a lee shore, causing him to make a quick exit by cutting the anchor rode before making out to sea. A month later he arrived at Lord Howe Island where he became ill, suffering from a staph infection. Despite tiredness and being ill, he persevered with his voyage. On May, 16th he arrived home at Brisbane, happy and relieved, but sad at having to leave ‘Acrohc Australis’ which had been his home for 3 years. When I visited the Queensland Museum, Brisbane, in August, 2006, I took photos of ‘Acrohc Australis’, and later posted them to my old small sailboats web site, along with photos my Australian friend had taken of the boat shortly after her marathon circumnavigation. A few of these photos can be seen above. I believe that one day, someone will complete a solo circumnavigation of the world in a smaller boat than ‘Acrohc Australis’. During an interview with Christy and Noel Davis of the Furled Sails Podcast web site, Serge said he was surprised and disappointed that no one had beaten his record. 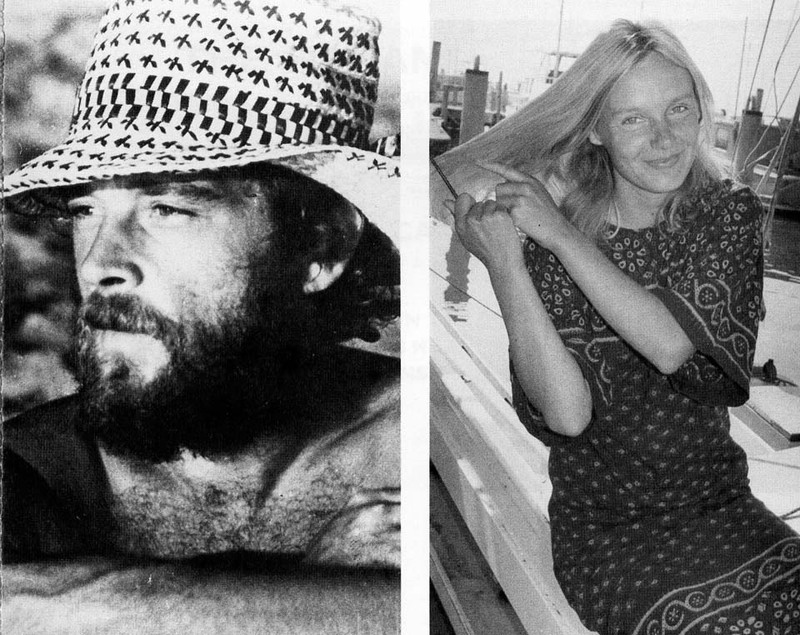 He subsequently sailed around the world again, but in a 60’ yacht built by him and his wife.